I tried this recipe from Goodful on Facebook and fell in love with it! AMAZING! And so easy! 1. Preheat oven to 400 ̊F/200 ̊C. 2. On a baking sheet, season salmon with garlic, olive oil, salt, pepper, and paprika. 3. Bake for 10–12 minutes. 4. In a small bowl, mix avocado topping ingredients until fully incorporated. Don’t overmix or you’ll break down your avocado. 5. 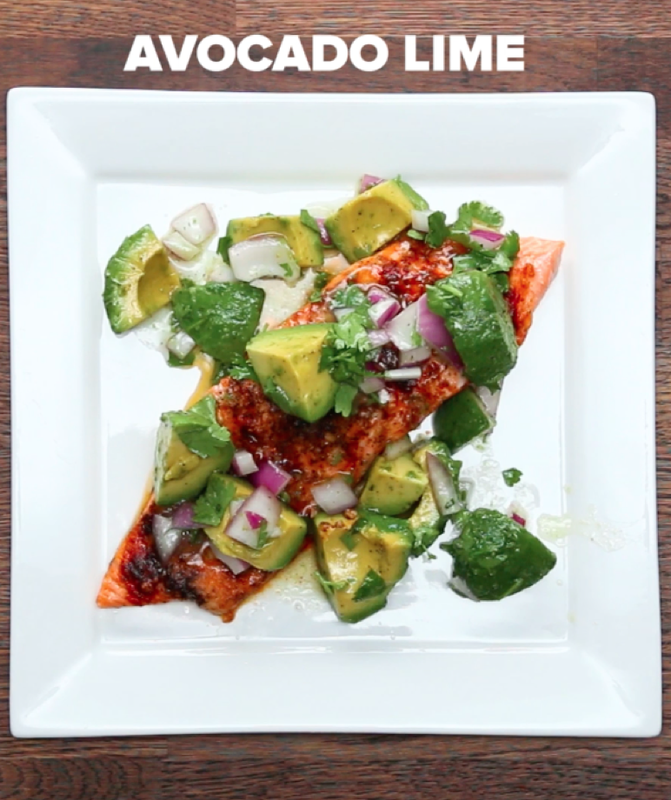 Spoon avocado topping over the salmon.